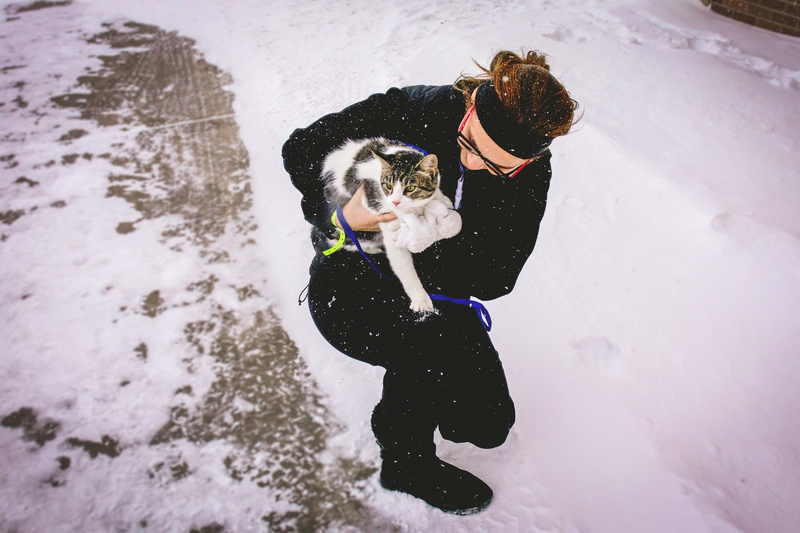 Students Share Their Favorite Way to Spend Snow Day | Grand Central Magazine | Your Campus. Your Story. Snow days are a rarity in the university world. Most college students expect to leave their valued snow days behind once they pack their belongings and head to college. Students on the campus of Central Michigan University enjoyed a snow day on Monday, Jan. 28 due to inclement weather, including severe wind chills and below zero temperatures. Grand Central met up with a few CMU students to share their favorite way to enjoy a snow day. Some may have chosen to enjoy the snow, while others wished to stay warm inside. They might have different ideas on how to celebrate, but we all appreciated this much needed snow day. 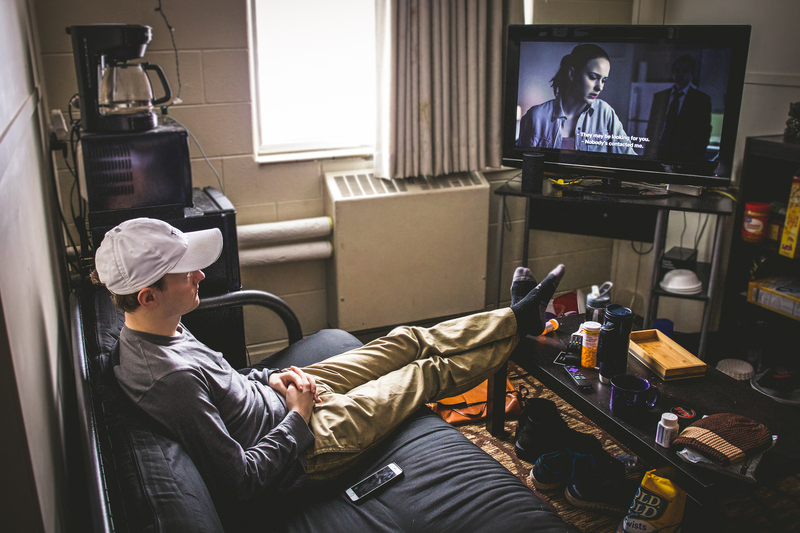 Gabe Butzke spends most of his snow day morning watching the Netflix series, House of Cards. “The show is a very good series,” he said. Butzke revealed his plans for the day— binge watching Netflix. 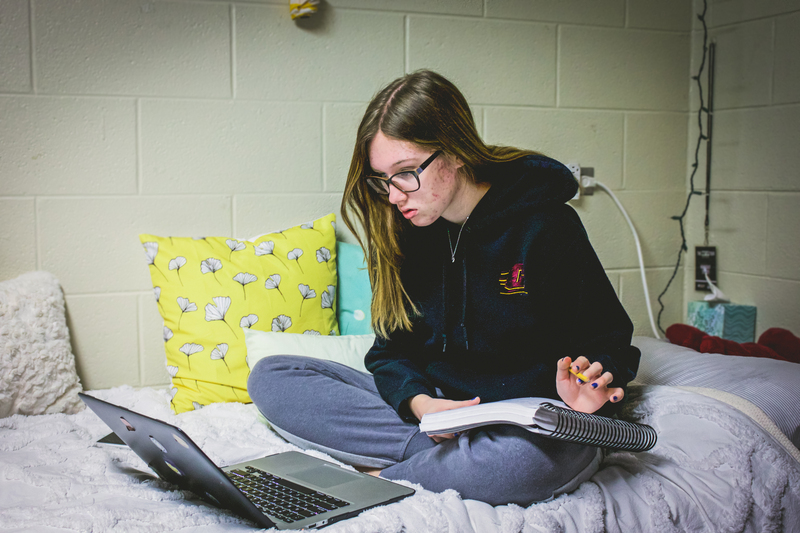 Snow days are always a good time to catch up on homework, Calista Sherma said. She explained that she likes to utilize that time to study and stay focused on school. 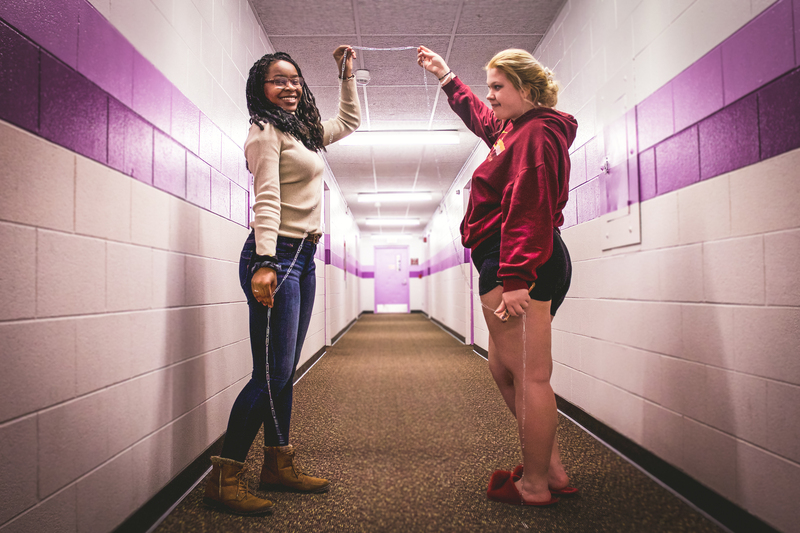 Jackie Anaele and Lyndi Rose decided to spend some of their snow day assorting their box of paper clips into a long string. “It’s 105 paper clips and it only took about ten minutes,” Rose said. 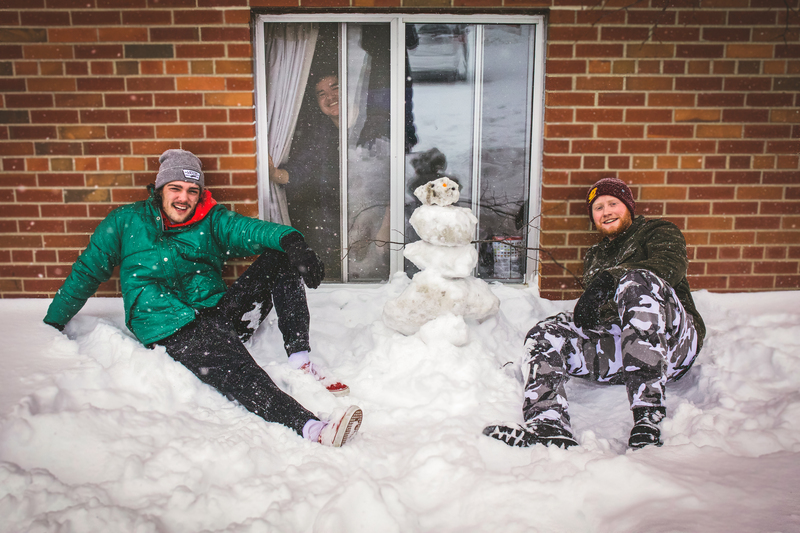 Left to Right: Howell sophomore Elliot Lassiter, Traverse City sophomore Zane Feiger and South Lyon sophomore Ryan Craig with a snowman Jan. 28 on the campus of Central Michigan University. With only one of a handful of snow days in the past decade, CMU students took advantage of the day off by doing a variety of activities. 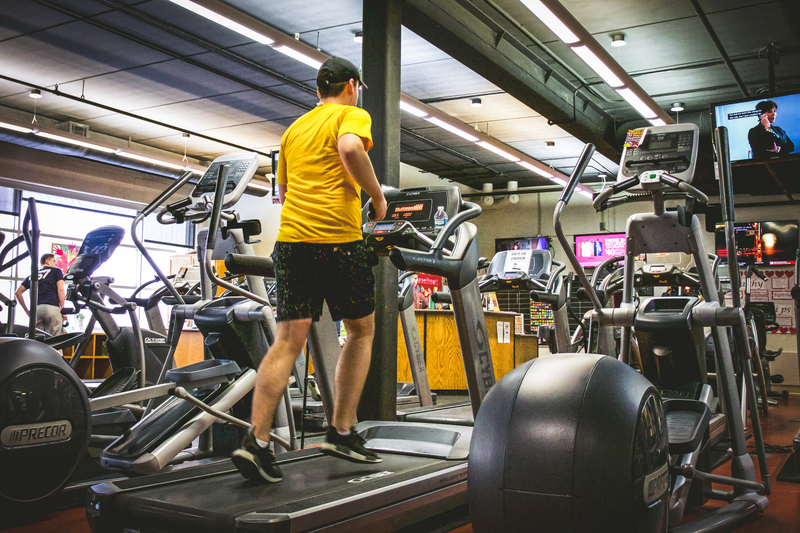 With the polar vortex continuing for the rest of the week, these activities may be just the start. Separator image Posted in Campus Life, College Living, Student Lifestyle, Students, Students and tagged with Liv Alexander, Photo story, Snow day.